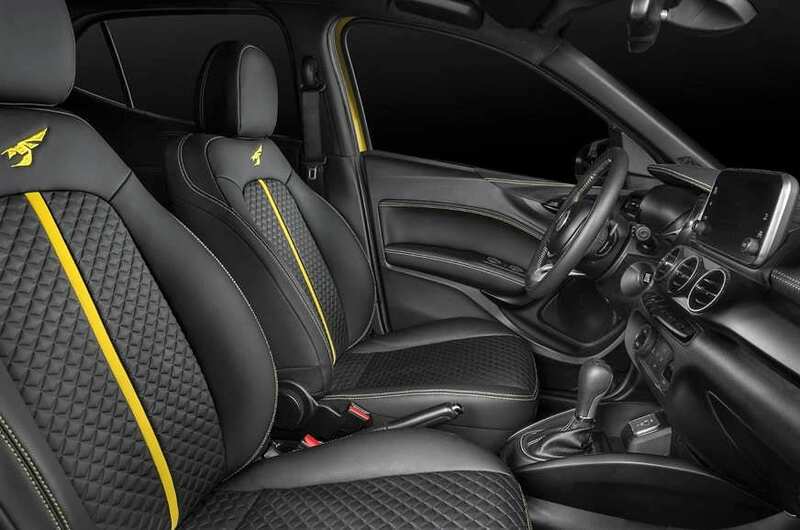 Fiat Argo Sting Edition is the sporty avatar of the Italian brand’s regular hatchback, presenting itself as more dedicated and sharp in comparison to the least glorified version. 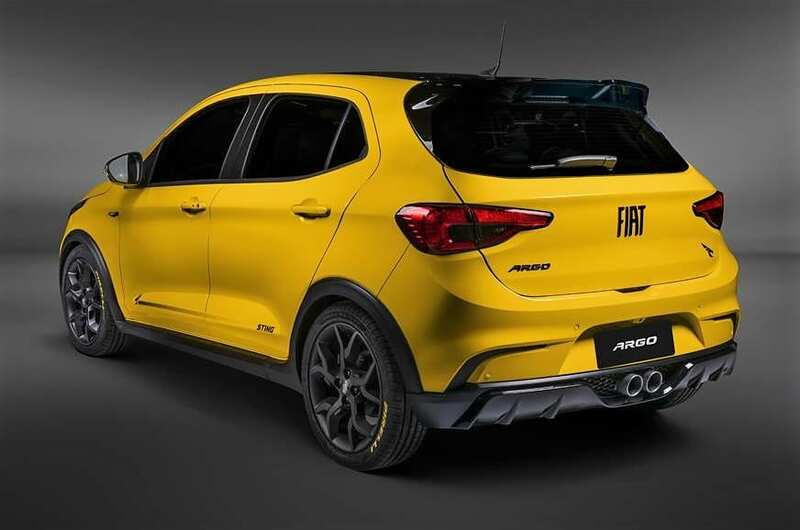 They have not announced anything regarding a change in engine or use of performance parts on the Argo Sting, which itself was seen for the first time at 2018 Sao Paulo Motor Show in Brazil. 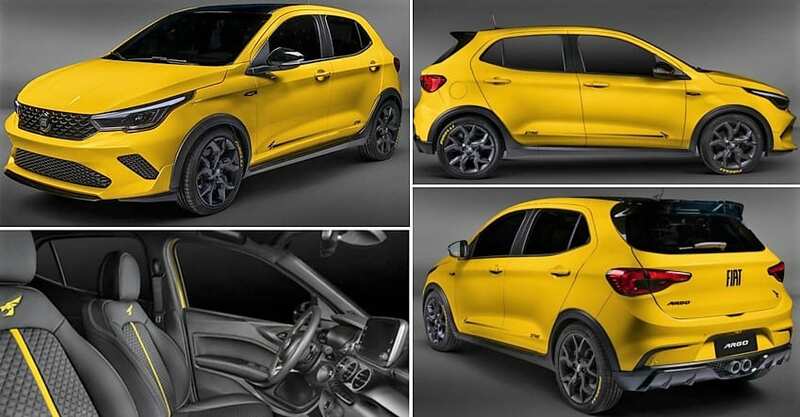 The car comes with the Yellow exterior finish, black roof shade and sporty black outside rear-view mirrors on the special version. 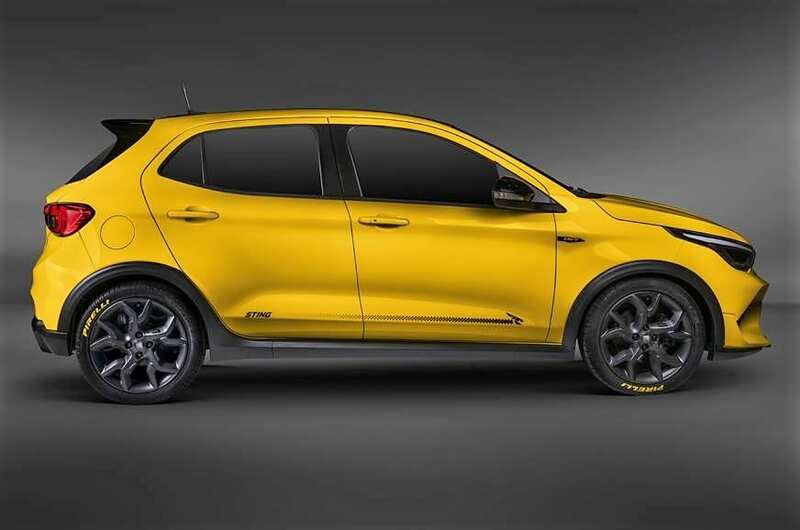 The impressive rear spoiler and perfectly matching 17-inch black alloy wheels complete the overall exterior package. 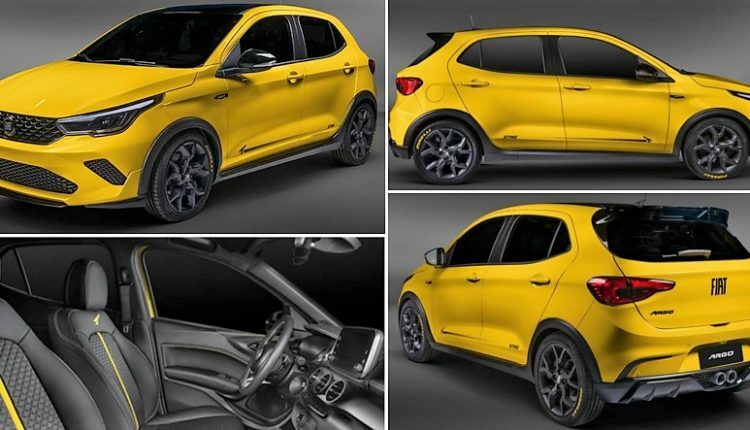 Fiat Argo Sting is a brainchild of Brazilian design team, commissioned by the brand itself to see how customers respond to a sporty version of their everyday car. The front and rear bumpers are well designed, especially considering the fact that the lower half at the rear end looks directly derived from a ‘Need for Speed’ car. The justified cladding running through the sides bring a more muscular feel to the ride. Also, the front LED headlights with an impressive inner finish add some charm to the car. Most cars of this segment have performance variants stacked with them for a much bigger price. 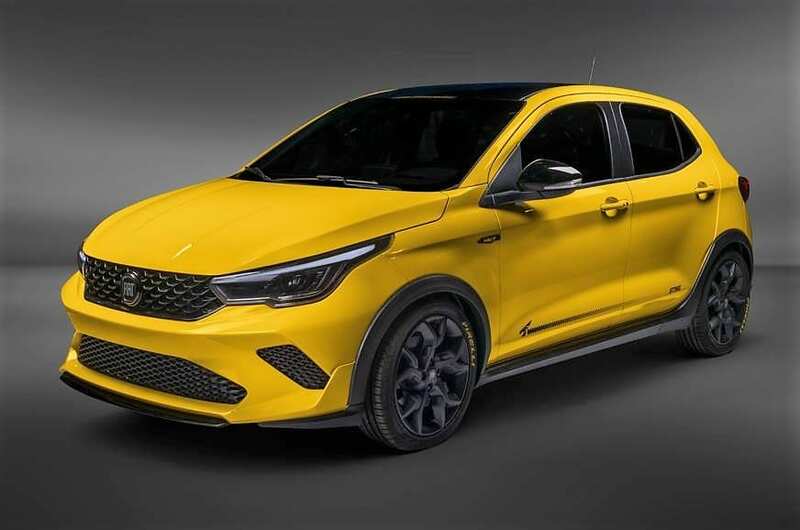 The concept of bringing Sting can also be taken into that direction in the coming years, with Fiat pitching Abarth-like model under the Sting brand name. Argo, in the regular guise, is good for 139hp of maximum power from its 1.8L petrol engine. The 6-speed automatic gearbox is a bless for Brazilian owners. Argo was first seen as a replacement for Punto in the global market, which in fact could have entered India if they posted positive sales with their existing cars. If even the regular Fiat Argo comes to India, the design will rival none other than Hyundai i20 and Maruti Baleno in its segment. You May Like: Suzuki Swift Hybrid Launched in Japan | Returns 32 KMPL!